Camfil USA has announced an upcoming groundbreaking ceremony for the expansion of its Crystal Lake facility in Illinois. The event, scheduled for Tuesday, August 28th at 11:00 am, signals the beginning of a new era of growth for one of the world’s leaders in air quality filtration. The expansion of the Crystal Lake facility, which is used to ship products to the Central and Southwest regions of the United States, as well as neighboring Mexico and Canada, is aligned to stay true to the company’s commitment to sustainability while meeting the increased demand for high quality air filtration products. Improved manufacturing processes within the expanded facility will expedite production while reducing the burden of shipping costs for customers. The groundbreaking event, which will broadcast in real time as a Facebook Live event, is expected to draw a crowd that includes Camfil executives, influential community members and neighbors who are excited to celebrate the growth of an ecologically responsible area employer. Camfil, the parent of Camfil USA, currently operates more than 25 facilities around the world. The Crystal Lake facility has been in operation for 50 years and consistently provides quality clean air solutions to businesses operating in the healthcare, automotive, transportation, education, life science, microelectronics and semiconductor industries. 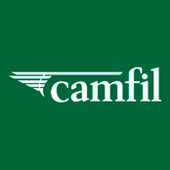 Camfil is the world leader in air filtration and clean air solutions, with more than 25 production plants and R&D centers in the Americas, Europe, and the Asia-Pacific region. For more information, visit us online at www.camfil.us or call us toll-free at 888.599.6620.